According to recently released statistics, Truman students were among the most successful in the country at the Certified Public Accountants (CPA) examination. The National Association of States Boards of Accountancy (NASBA) has released the summary statistics for candidates taking the CPA examination during 2011. Truman graduates performed exceptionally well during this exam period. NASBA classified institutions by the number of candidates taking sections of the CPA exam and published rankings by classification. Truman was classified as a “large” program having 80 individual candidates complete a total of 256 CPA exam sections. The candidates passed 78.9 percent of sections taken with an average score of 80.4, placing fourth in the nation among large programs. Among all institutions with 10 or more reported candidates, Truman ranked ninth in the nation. Truman graduates had the highest success rate of all universities in the state. Other Missouri institutions ranked in the top 40 were: Washington University at No. 11; the University of Missouri-Kansas City at No. 22; and the University of Missouri-Columbia at No. 30. Truman is one of only 178 universities worldwide accredited in both business and accounting by AACSB International-The Association to Advance Collegiate Schools of Business. Founded in 1916, AACSB is the longest serving global accrediting body for business schools that offer bachelor’s, master’s and doctorate degrees in business and accounting. Bicycling is a popular mode of transportation for many to and from campus. As the school year begins, the Office of Public Safety wants to remind all cyclists of the campus guidelines. Anyone operating a bicycle must obey the same traffic control regulations that apply to cars and motorcycles, such as stopping for stop signs and riding in the right-hand portion of the roadway. Bicycles which are ridden after dark must be equipped with a headlight, large red reflector on the rear, and white or amber pedal and spoke reflectors. Bicycles parked on campus must be left in bicycle racks, which are provided in convenient locations. Bikes are not to be left in buildings, entrances, ramps or any other hazardous location. They should not be attached to any trees or light poles. Bicycles which are illegally parked are subject to parking tickets and/or confiscation by the Department of Public Safety. Bicycles should be ridden on streets, not on sidewalks, lawns or parkways that are property of Truman. Students are strongly encouraged to register their bikes with Public Safety. Registration permits are issued free of charge. More information on the biking policies may be found at police.truman.edu/parkingservices/parkServ.asp. The Bike Co-op, located near Grim Hall on Patterson Street, is a student organization that runs a bike workshop equipped with tools to do most repairs on bicycles. Its purpose is to teach people how to repair their own bikes. Co-op members usually staff the shop Monday to Friday 12-4 p.m. or 1-4 p.m. Specific hours are determined each semester. For more information on the Co-op, email ajc6238@truman.edu. Scott Alberts, professor of mathematics, has been appointed as interim director of Interdisciplinary Studies for a one-year period. His appointment began June 25. During his 11 years at Truman, Alberts has served as the director of the Truman Portfolio Project and been active with the Center for Applied Statistics and Evaluation. He also served as the student government advisor for several years. Alberts will work within the Provost’s Office to coordinate initiatives and programs that cross department and disciplinary boundaries. 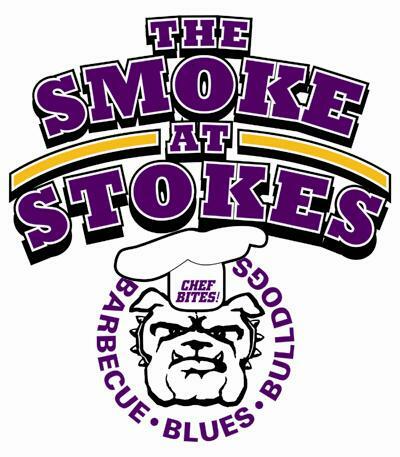 Beginning at 4 p.m. the parking lot will be opened for one of the two Truman tailgate events this season. Samples from the BBQ competition will also be available at that time. Participants can taste a selection from each competitor and cast their vote for the People’s Choice award. All of this leads up to the football home opener when the Bulldogs will take on Lincoln (Mo.) 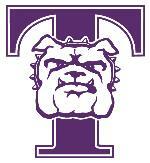 at 7 p.m. For more information, contact Truman Athletics at 785.4235 or visit trumanbulldogs.com. Dr. Cristina Borreguero Beltran, professor of early modern history at the University of Burgos in Spain, has been on campus since Aug. 20 in an effort to build stronger relationships between the University of Burgos and Truman. Formerly the director of international relations, Beltran has travelled extensively in Europe and North America as a visiting scholar and lecturer on 16th, 17th and 18th century Spanish and European History. The author of five books and scores of scholarly articles, her most recent work has been recognized and promoted by the Spanish government in Castilla for bridging the relationships between academic and cultural heritage in this region. Beltran will continue her visit to Truman through Sept. 1. During the school year, many Truman offices and student organization will want to create Truman State University related memorabilia with the name of the University or one of the University logos. The University does have a Logo and Style guide that contains standards for consistency for the Truman identity system and if anyone is interested in using the name of the University or its logos, those specific guidelines must be followed at all times. Because the name and logo are licensed, it is best to work directly with the Publications Office on how the name or logo might be used. Information on the main variations of the logo can be found online at publications.truman.edu/logoUsageGuide.asp. For questions concerning use of the Truman name or logos, contact the Publications Office at 785.4692. Several Truman students spent eight weeks this summer studying abroad in Spain. The program included 12 credit hours for work done on a trip to Salamanca, Spain. During their six-week stay in Salamanca, the students lived with a Spanish family and studied at a renowned language school. The remainder of the time was spent traveling to Madrid, Cordova, Seville, Granada, Malaga, Ronda, Toledo, Segovia, Avila, La Alberca and Sierra de Francia. As part of their cultural experience, the students attended a bullfight and a Flamenco show, as well as a variety of music recitals, fiestas regionales and drama events. 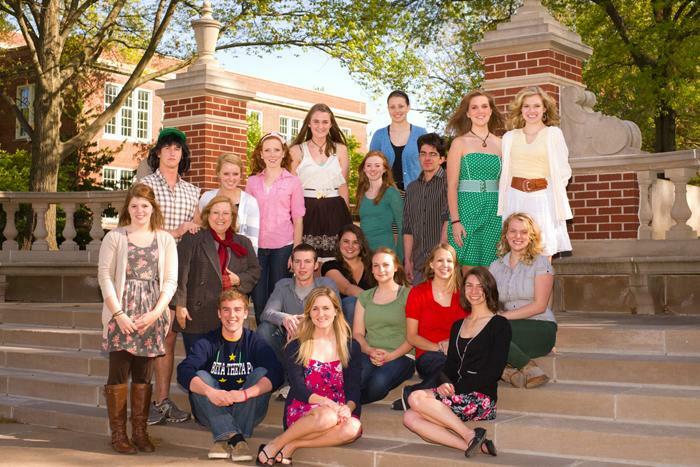 Seated, left to right: Wesley Allard, Andrew Clooney, Rachel Hunt, Haley Lanser, Rachel Phillips, Laura Stucky, Casey Henderson and Lauren Baker. Standing, left to right: Kara Goodier, Christopher Schisler, Dr. Silvia Pites, Briana Martinez, Mikail Brown, Kristin Grimsley, Mariah Shields, Mary Duncan, Daniel Philbin, Erin Schnurbusch and Kayla Lagud. The Office of Student Research (OSR) is now accepting Grants-In-Aid-of-Scholarship and Research (GIASR) applications for research and creative activities to be conducted during the Fall 2012 semester. The purpose of these grants is to promote a culture of research, scholarship and creative activity at Truman while providing flexibility to accommodate different research styles and requirements. Projects supported by this program should involve original ideas but may encompass a variety of activities including obtaining preliminary data or information, exploring new topics and continuing ongoing projects. The OSR anticipates awarding five to eight GIASR grants (up to $750 each) per semester depending on availability of funds. All students that wish to be considered for GIASR Fall 2012 funding should submit applications online at secure.truman.edu/osr-s by 11:59 p.m. Aug. 30. Email any questions about the OSR programs to osr@truman.edu. This fall the ITS managed academic computer labs and classrooms will be running Windows 7 as the default, not Windows XP. Microsoft is ending support for Windows XP soon so ITS has started changing campus computers. Windows 7 is now available as a choice in the Pickler Memorial Library 312 computer lab or the Windows 7 virtual lab desktop may be accessed by using the VMware view client. Instructions for the VMware view client are at secure.truman.edu/its-s/viewclient/login.asp?page=/its-s/viewclient/index.asp. Faculty and staff that would like to upgrade an office PC to Windows 7 can contact the ITS Service Center at 785.4544.
the services they have to offer to students. The Cashier Window in McClain Hall will have extended hours of 9:30 a.m.-3:30 p.m. through Aug. 24. The Cashier Window is available to help Truman students conduct various financial transactions. Cashiers are responsible for processing tuition payments, receiving loan payments, disbursing student paychecks, cashing checks and selling Lyceum tickets. Normal Cashier Window hours are Monday-Friday, 10:30 a.m.-3 p.m. This past summer, students from a variety of disciplines participated in faculty-mentored research projects through the TruScholars Summer Undergraduate Research Program. Students wrote proposals last spring, carried out research this summer and will present their progress at the 2012 TruScholars Research Symposium. The entire Truman community is invited to attend some or all of the presentations and learn more about the diverse ways in which research, scholarship and creative activities are being conducted across Truman’s campus. International Financial Reporting Standards: Are They Right for the United States? Class size is limited. To sign up, call 785.4177 or email joycecook@truman.edu. for $5 in the Public Relations Office, McClain Hall 202. Students interested in receiving emergency notices through the text messaging function on their phones can sign up for this service through TruView. Click the “Student” tab and then “Update Emergency Text Messaging Information.” The Emergency Response Guide is also available at police.truman.edu. Over the summer, Pickler Memorial Library combined the Reference and Circulation desks to create a one-stop service area. The front desk, now known as the Library Service Desk, is where library users can check out materials and ask all of their questions. For inquiries that cannot be handled at the Library Service Desk, patrons will be connected with the on-call reference librarian for further assistance. Members of the Reference Department will be constantly on call to assist patrons with using the library catalog, locating materials, searching online databases and other research related questions. By using an on-call system, the library can provide the same reference services as in the past without having to be tied to a physical desk. In fact, the Reference Department has gone “mobile” and will be roaming throughout the library on a regular basis to provide assistance to patrons in other locations. With new iPads, librarians will have constant access to the library catalog, article databases and the Internet from anywhere in the building. The former Reference Desk has become the space for the laser printer and photocopiers as well as other office items like the paper cutter, pencil sharpener, stapler and comb binder. Stop by the new Library Service Desk or call 785.4051 with any questions. The Wellness PACT Coordinator is responsible for coordinating the wellness and prevention activities among organizations and departments within Student Affairs on campus. The position listing is available on TruPositions and more information can be found at conduct.truman.edu/Wellness%20PACT%20Coordinator%20Application.asp. For any questions please contact Beth Kral at bkral@truman.edu. Check the Master Calendar for a complete listing of on-campus events. The Cape Air Kirksville Air Fest will take place the weekend of Sept. 8-9. For complete details, visit kvairfest.com. Truman has partnered with the Missouri Foundation for Health and the American Lung Association to provide free 7-week freedom from smoking classes in Kirksville and Macon, Mo. Class includes free patches, a booklet and doctor consultation. Walk-ins are welcome. For more information contact Justin McDermott, grant manager/tobacco cessation specialist at Truman at 573.470.2125 or jmcdermott@truman.edu. Truman State University would like to thank the following businesses and local organizations for their recent donations to the Ready-or-Not Faculty and Staff Appreciation Luncheon. The Next Issue of the Truman Today will be available Sept. 4. Submissions can be sent to tmiles@truman.edu. All information, rules and registration requirements are online at recreation.truman.edu/intramuralrec.asp, or contact the Intramural Office at 785.4467. Captains' meeting is at 4:30 p.m. in the SRC Conference Room. Currently enrolled undergraduate college students are eligible to apply for the Foreclosure.com 2012 Scholarship Program. Students may go to foreclosure.com/scholarship to find out how to be entered to win one of five scholarships by writing an essay on stimulating the U.S. housing market. Top prize is $5,000, second through fifth place will receive $1,000 each. Deadline to enter is Dec. 1. W. Michael Ashcraft, professor of philosophy and religion, presented a paper entitled “Church/Sect Theory and the Pioneer Scholars of New Religious Movements Studies” at the annual meeting of the Association for the Sociology of Religion on Aug. 18 in Denver, Colo.
Six members of the Truman Women’s Track & Field team were named All-Academic by the United States Track & Field and Cross Country Coaches Association. The team as a whole was the top MIAA squad among the seven that earned All-Academic team status by the association. Karen Grauel, Lisa Kucharski, Rachel McCarroll, Dimonique McGruder, Anne Ratermann and Jennifer Zweifel each earned All-Academic honors by having at least a 3.25 cumulative grade-point average while achieving a provisional or automatic qualifying mark for either the NCAA Division II Indoor or Outdoor Track & Field Championships. The Truman team had a 3.61 cumulative GPA, which was the fourth-best in Division II, tops among the seven other MIAA schools to make the list. There were 83 women’s programs to earn the team award with Cal Poly-Pomona having the top team GPA at 3.8. The Truman Men’s Track & Field team posted the second-highest cumulative grade-point average among Division II programs this past year to earn All-Academic team honors from the United States Track & Field and Cross Country Coaches Association. In addition, seniors Derek Atwood and Joey Walls were listed on the USTFCCCA All-Academic squad list. The men turned in a 3.36 GPA to place second out of 41 Division II teams earning the All-Academic team status. Bentley University (Mass.) had the highest GPA at 3.42. The Bulldogs were just one of two MIAA teams listed. To be named to the individual list, a student-athlete must carry a 3.25 GPA and posted either a provisional or automatic qualifying time or mark during the indoor or outdoor season. Atwood competed in the NCAA Indoor Championship meet in the shot put where he finished 12th. With an 11th place finish in the men’s 1,500 meter run at the Outdoor Championships, Walls earned his spot on the All-Academic team. The Multicultural Affairs Center will host its annual Welcome Back BBQ from 4-6 p.m. Aug. 26 at the Adair Building. The National Pan-Hellenic Council will sponsor “Meet the Greek” at 6 p.m. Aug. 27 in the Student Union Building Room B. The Activities Fair will take place from 1-5 p.m. Aug. 29 in the Student Union Building. Sponsored by the CSI. The Art of Living Club will host a peace meditation, which includes light yogic stretching, deep breathing and a variety of deep guided meditations, at 5 p.m. Aug. 29 in Baldwin Hall 251. An informational meeting for the May interim study abroad class “Conservation and Management of Large African Mammals” will take place at 6:30 p.m. Aug. 29 in Magruder Hall 2050. The Fourth Annual Interdisciplinary Biomedical Research Symposium deadline for pre-registration has been extended to Aug. 31. Faculty and students involved with faculty research projects are encouraged to participate. Those who pre-register will be eligible to win one of two $250 poster awards. 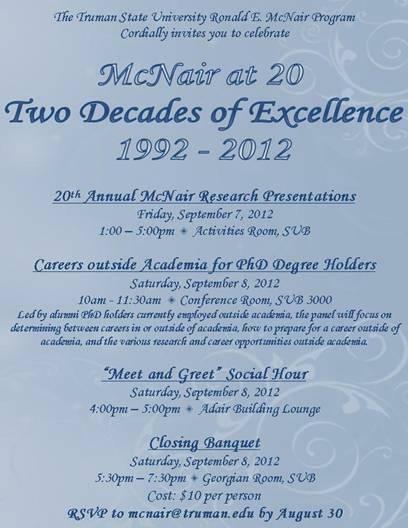 The symposium will take place 8:30 a.m.-3 p.m. Sept. 29 on the A.T. Still University campus. Registration information can be found at atsu.edu/research/conferences_seminars.